Cillian Nolan joined J-PAL in August 2017 as Senior Policy Manager for the Crime, Violence and Conflict Sector. He works with academics, foundations, governments, NGOs and other organizations to disseminate the findings of J-PAL evaluations on crime and violence, and to forge research partnerships to answer open questions on these subjects. 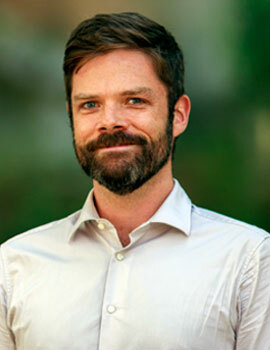 Prior to joining J-PAL, Cillian worked for over a decade as a researcher on conflict issues, examining the sources of violent conflict and advocating policies geared towards its effective management and prevention. From 2006 to 2013, he worked at the International Crisis Group, serving in research and advocacy roles at the organization’s Brussels headquarters, and then as a Southeast Asia field analyst based in Indonesia and Timor-Leste. In that role, he researched and authored a series of reports on police and security sector reform, and the long-term challenges of democratic transitions, state-building and rule of law consolidation. In 2013, he became co-founding deputy director of the Institute for Policy Analysis of Conflict, a think tank producing in-depth research explaining the dynamics of conflict in Southeast Asia. He has also worked as a researcher on international humanitarian law issues for the Program on Humanitarian Policy and Conflict Research (HPCR) at Harvard University and as a production assistant for National Public Radio’s “All Things Considered”. Cillian holds a master’s degree in Public Policy from the Woodrow Wilson School at Princeton University and a bachelor’s degree in English Literature from Yale University. He is fluent in French, Indonesian and Tetum, and proficient in Portuguese.